Today is my 28th birthday. 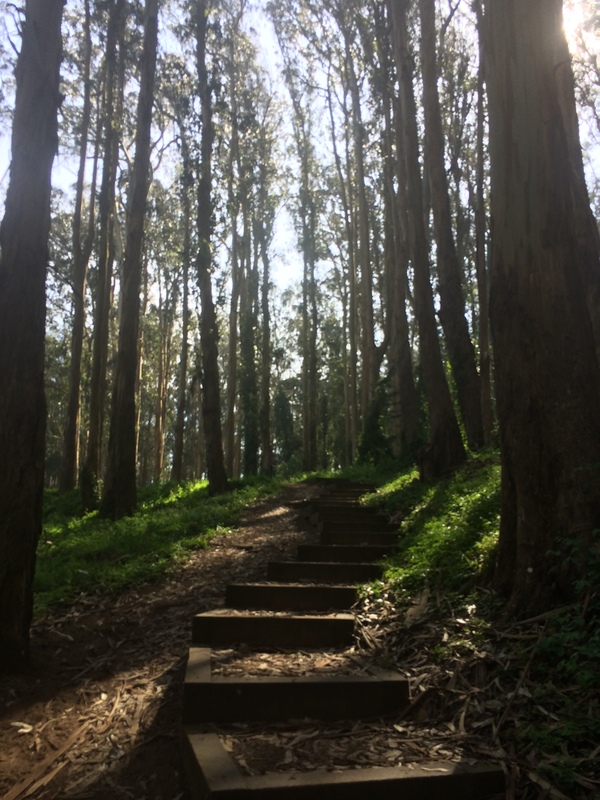 While I wish Jesse could participate in an epic Marin trail run to celebrate, I made due by taking the day off work (Friday is my favorite day of the week), running 10 miles in the Presidio, and going out to sushi dinner. Tomorrow, Jesse and I will be heading to a brewery in the Mission and dining at a delicious Burmese restaurant in the Inner Richmond (guest appearance by Jamie!) with a group of friends. On Sunday, we’ll be celebrating my Pop-Pop’s 95th (!!) birthday in the south bay. Single track in the city. The warming hut and the Golden Gate at Chrissy Field. Happy birthday! I am so sorry I missed this earlier. I hope you had a great day. You always go on the most beautiful runs! Thanks Sarah! 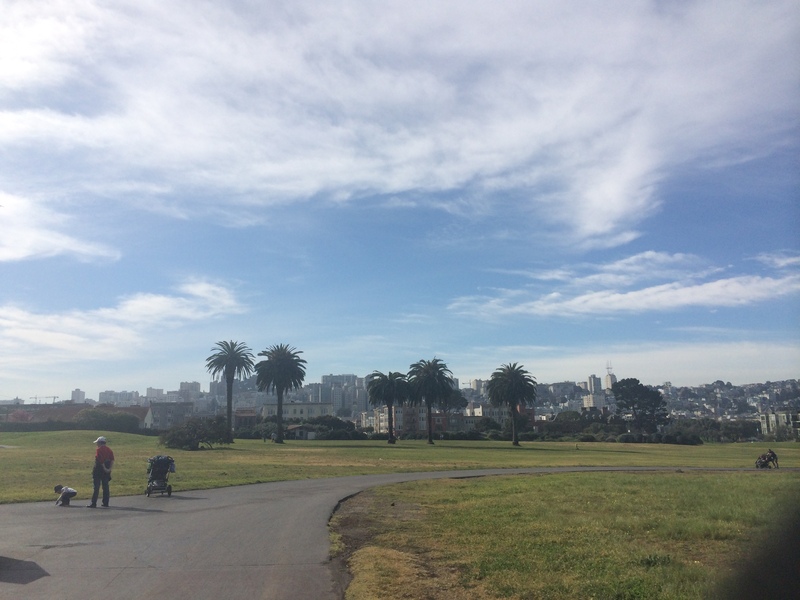 No need to apologize – and yes, our city lends to some beautiful running photos! Great pictures and Happy Birthday! I wish I was 28 again 🙂 Looks like you’re truly enjoying it!! Happy Birthday, Taylor! That city view through the trees is spectacular. Hope you had a great weekend celebrating! Thanks Charissa! 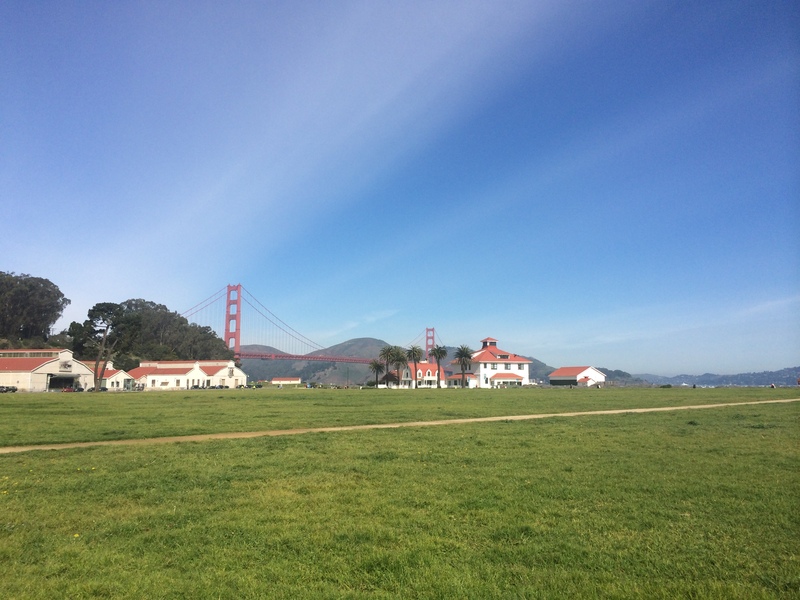 I love running in the Presidio – you get great peekaboo views of San Francisco. HAPPY BIRTHDAY!!! 😀 😀 😀 😀 Wooohooooooooooooo!!!!! Happy Birthday!!! Hope it was awesome!!! Sounds like you had a great weekend! Those pictures are amazing!!! Happy Belated Birthday my lady! Sounds like a pretty good Bday! 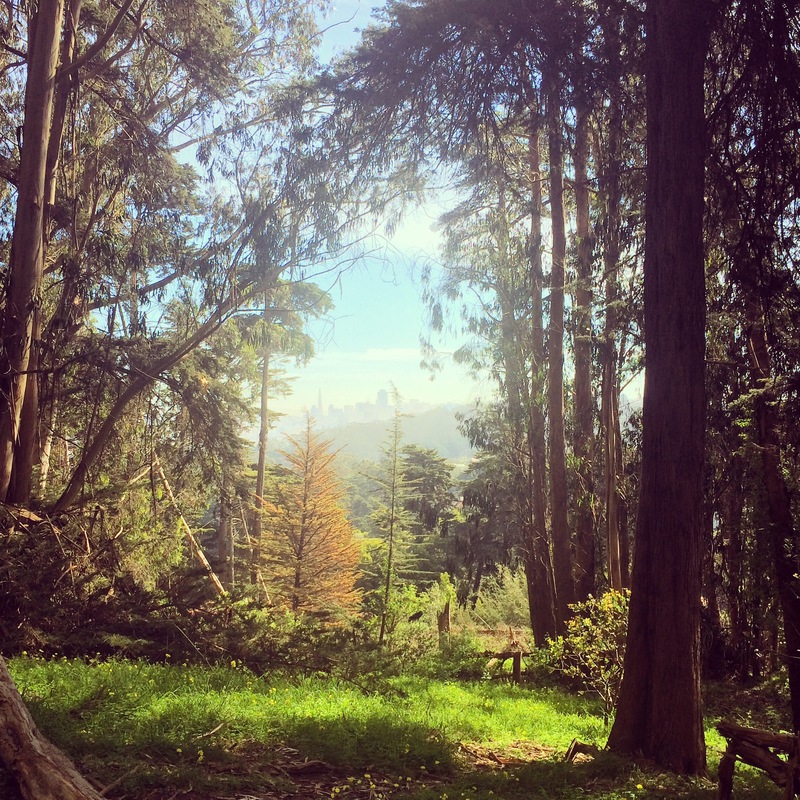 Love that picture of the city through the trees of Presidio- beautiful!